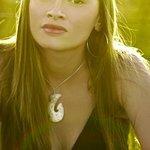 One of New Zealand music’s brightest stars, Maisey Rika, is giving up alcohol in February to raise money for some of the country’s top youth charities. She’s joining chef and foodwriter Jo Seagar, news presenters Mike McRoberts and Paula Penfold, social media journalist Greer McDonald, actor/writer Pinky Agnew and radio hosts Jay-Jay Feeney and Dominic Harvey in going a month without alcohol as part of the Drug Foundation’s FebFast fundraiser. FebFast has been running for several years in Australia but this is the first time it has taken place in New Zealand. Since 2008 more than 10,700 FebFasters have raised over $1.7 million for Australia’s youth and drug services. And that’s something Maisey Rika is pleased to lend her voice to: "Too many of my people and family have been gripped by problems with alcohol. People can drink for a number of reasons – they might be depressed, feel numb or be under financial pressure, for example. These are the people I’m giving up alcohol for, they’re the reason I’m supporting FebFast . Find out more about Feb Fast here.